In the blogosphere, there are dozens of leading online publications, but at the top of the pack is Design*Sponge, the leading interiors/decor blog spearheaded by Grace Bonney. 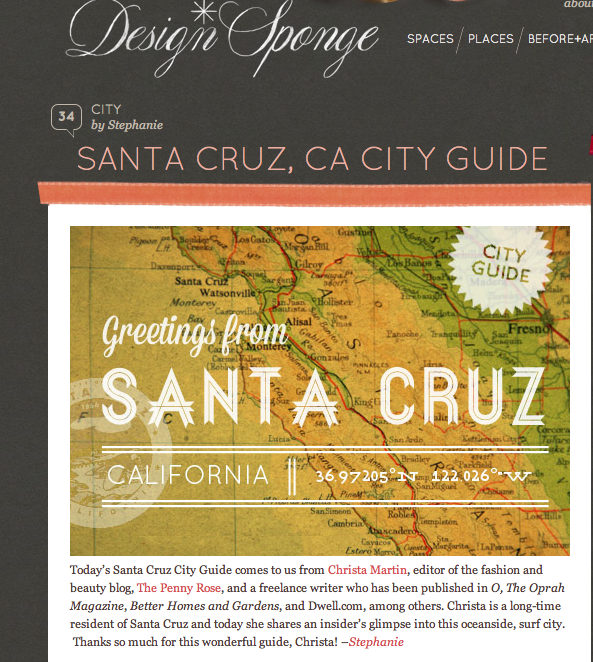 Last week, The Penny Rose founder/editor Christa Martin wrote a Santa Cruz City Guide for Design*Sponge which you can find here. It's a comprehensive and curated look at Christa's hometown. Enjoy!